يحظى فندق Proximity Apartments Manukau / Auckland Airport بمكان متميز في محور أوكلاند تسوق في منطقة مانوكو الفاتنة. يسهل الوصول إلى هذا الفندق ذو 5 نجوم من المطار، فهو يبعد عنه مسافة 9.7 KM فقط. يشكل هذا الفندق ملاذاَ مريحاً للاسترخاء ويمنح زواره فرصة للاستجمام والتجدد، وهو يقع على بعد خطوات من المعالم السياحية الكثيرة للمدينة كمثل: Manukau City Medical Centre, مانوكو تكنولوجي, رينبو ايند. استمتع بالخدمات الراقية والضيافة التي لا مثيل لها بهذا الفندق في أوكلاند. تتضمن الميزات الرئيسية في هذا الفندق: واي فاي مجاني في جميع الغرف, مكتب الاستقبال على مدار الساعة, مرافق مخصصة لذوي الاحتياجات الخاصة, تسجيل وصول/خروج سريع, تخزين الأمتعة. 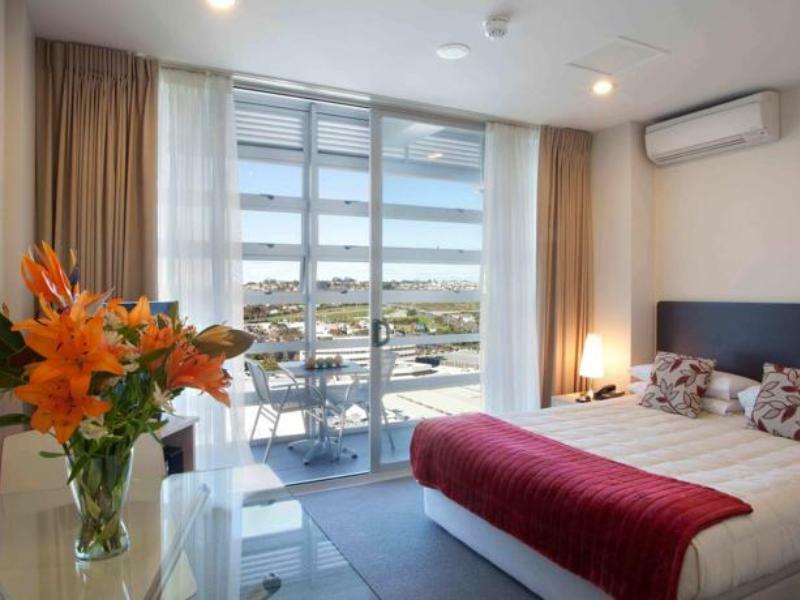 تنعكس أجواء Proximity Apartments Manukau / Auckland Airport في غرف الضيوف.مناشف, تلفزيون بشاشة مسطحة, مرآة, كاشف دخان, غرف لغير المدخنين هي بعض الميزات الموجود في العديد من الغرف. كما أن مجموعة الخدمات الواسعة الموجودة في الفندق لضمان راحتك تترك لك الكثير من الخيارات لقضاء وقتك أثناء فترة إقامتك. 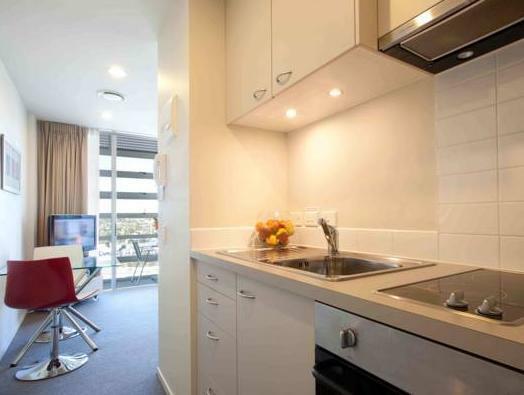 استمتع بخدمات لا يعلى عليها وعنوان ذو اعتبار في Proximity Apartments Manukau / Auckland Airport . I really like this place. We took a night flight and only reach Auckland in the noon. This place is nearby to mall and I am glad we had a good rest before we embark on our journey. Kudos to the reception staff who checked in my group of four on 24 Oct 2018 after 10 pm. She went the extra mile to make sure we were all comfortably settled in that night. We were also assigned the topmost floor apartment on Level 16 which offered a fantastic view. Thank you. location is very good, access to airport is just 15 mins, by taxi or by airporter 380 bus, train station is nearby. sevice was good, Reena at front desk was very courteous and helpful too. 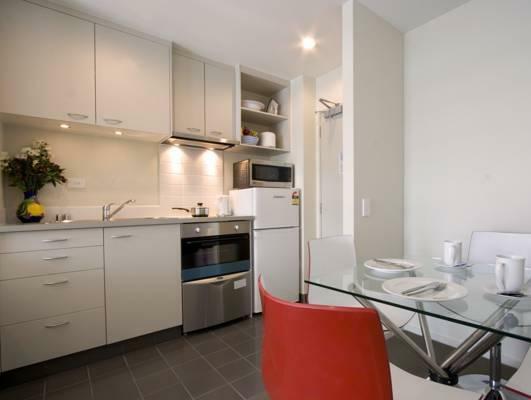 facilities in the 1 bdrm apartment is excellent, bed to cutlery, all perfect. balcony, good view and fresh cool air. close to Warehouse, Pak n Save, Westfields, Nandos,. MACD etc. 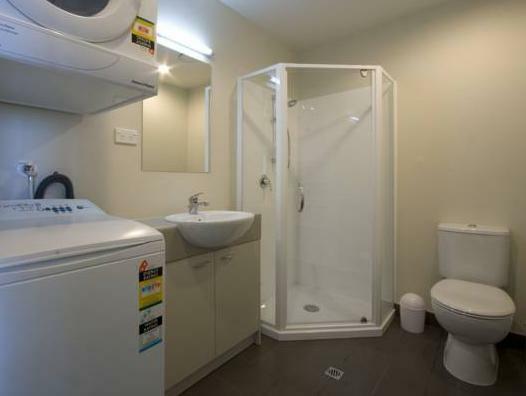 lts very convenient being next to Manukau shopping centre for dining choice and having a washing machine and drier in the room helps towards the end of a sales trip also 10 mins to the airport is convenient . A word of warning if you happen to park in the wrong space the locals are feral . Pro - great location, Westfield mall and Rainbow Ends are walkable from the apartment. Airport is 15 mins drive. Room is clean and bed is comfortable. Con - no dining table in the 2 bedroom apartment. We choose to live near our daughter's home. The Room is good, have everything that we needed. Close to Westfield, airport and train station. Very convenient, clean and value for money. Recommend for next stay! It was a bit noisy at night since its very close to the mall with restaurants facing toward us. Everything else are great. This apartment was small but very clean, tidy and modern. The room had a great balcony that could be used even in the rain and had a great view over the city. It is in a convenient location right near supermarkets, coffee shops and the Westfield shopping centre and wasn't hard to get to from the airport. The staff were also very friendly. Thanks. Near shopping mall and a short drive to the city. Car park is provided. Rooms were very clean and tidy. The view was amazing. Checking in and out no hassle at all. The balcony was great for breakfast, lunch or dinner and was quite relaxing. Shopping malls were very close by which also had a grocery store. Parking was not an issue either as you could park anywhere close by as it was free ONLY in the weekends and that suited us just fine. Our room had everything we could possibly need. Huge thumbs UP !! Excellent location with West field across the road. Had to pay $10 per day for parking, however the parking was secured. the room was rather small, however all the facilities were available such as cooking, washing, and all hotel facilities. The apartments rates at 4.5 star accommodation, I think that is a bit high for it, it would be more like a 3.5 star as it is starting to age and the only thing going for it is it's location. Auckland was damn expensive this week so finding Proximity was a good option vs motor lodges and such. 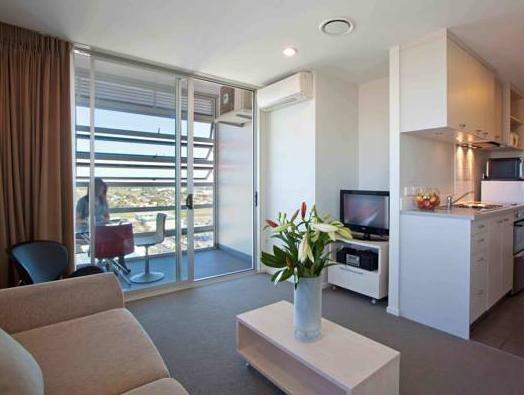 Full facilities and right next to large shopping centre with a few restaurants nearby. Its not what you would call a lively area at night but for 1-2 nights on business it was fine.